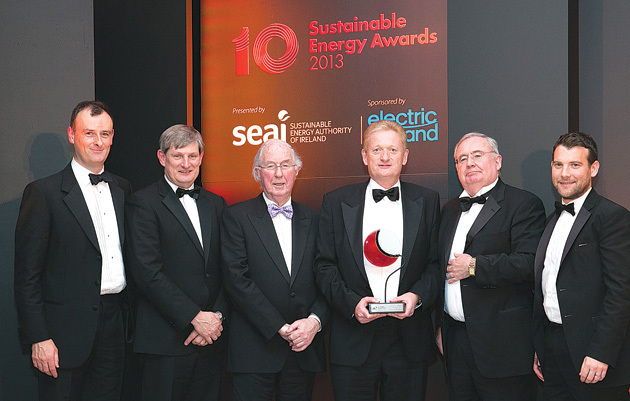 Richard McElligott was part of the winning team behind the Environment category at the SEAI Energy Awards 2013 for the Honeypark residential development in Dun Laoghaire, Co. Dublin. The Cosgrave Developments Ltd scheme, which is on the site of the old Dun Laoghaire Golf Club, shows the way forward in how buildings need to progress to future proof against rising energy costs and the finite nature of resources. The homes in Honeypark demonstrate that high performance houses can be delivered on a scalable level rather than one off bespoke construction. This has resulted in A-rated homes where heating costs are a fraction of those built 10 years ago or more. These high performance results have been achieved using systems that are low maintenance, simple to operate, and more importantly are sustainable. Any equipment used to service the homes is assessed on its merits and long term viability. This has involved research trips to leading northern European operators, including discussions with Dr. Wolfgang Fiest at the Passiv Institute in Frankfurt and a field trip to Copenhagen to view district heating schemes first hand. Our involvement has borne a practical result and avoids getting caught up in an eco “bling” solution which is of little benefit to the homeowner.